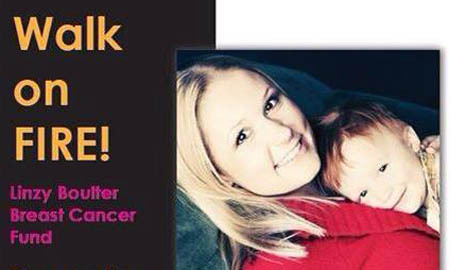 A friend of mine was recently diagnosed with breast cancer. As a self employed dog groomer, she doesn’t have a lot of money to pay for medical bills. As she gets further along with her treatment, those medical bills will pile up faster and faster. 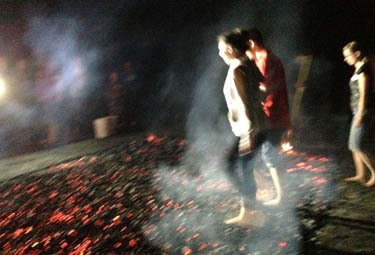 To help her raise money, her family organized a firewalk where all proceeds were donated to her. 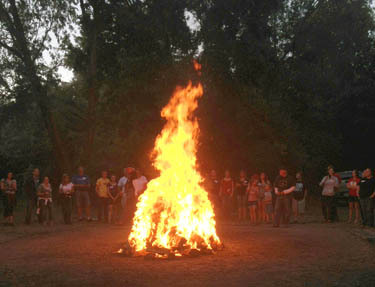 Just a few hours before the walk started, though, the president of the company walked over to my desk and said, “So what’s with this firewalk thing? Count me in, and my wife, too.” By the end of the night, he was asking the director of the firewalk if they do these for businesses, based on what he had learned. Like I said, I’ve walked on fire before. Every time I learn something new. Here are a few things I learned about me (and business) this go-around. As the firewalk instructor began to cue up the evening, he circled the group (about 100+ people) around him and asked everyone how many of him there were. Most people answered the obvious answer – 1. There’s only one guy teaching everyone else about the firewalk, right? Wrong. The answer, due to this thing called ‘perception’ meant that in that group of 100+, there were 101+ versions of the director. Everything I believe about the director is based on my beliefs and experiences. Everyone in the group has different experiences and beliefs, and therefore, everyone has a different perception of the director of the firewalk. This really got me thinking, and I imagine this was the purpose of what he said. If in my world (I know it as reality), the instructor exists as a kind, wise person, but in someone else’s reality, he is a rude, idiotic buffoon, who is right? Well, I am. And so is the other person. And so is everyone else. All because of this weird thing called perception. So naturally, I applied this to my life at the office. The other day, I got in an argument with a co-worker about whether or not we should purchase billboard space for one of our customers. My argument was that it wasn’t going to drive leads, it would be a lot of work to design the ad and website to send people to for contact information. My co-workers argument is that it the campaign wasn’t based on driving leads, but rather on branding and awareness. Who was right in that situation? I was. And so was my co-worker. I sure didn’t see it that way, though. I fought tooth and nail for what I perceived as right, because I thought it was the only answer. How many unpleasant conversations or situations could I have cut out of my life if I realized that there is always more than one answer? 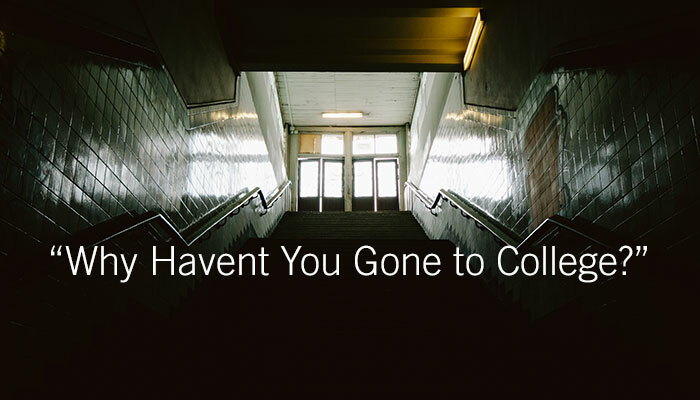 When it came time to finally walk across the burning coals, I noticed a lot of things. Some people were calm, focused, and peaceful as they crossed the fire. Others were nervous, waiting at one side of the fire for several minutes before crossing or deciding that now was not the time for them to cross the fire. the coals than most. These are the people who were most likely to get burns or blisters on their feet. I personally was a bit nervous, but had no hesitation crossing the fire. I walked side-by-side with my wife, who was holding my hand the whole way. At the very end, I felt a pocket of extreme heat and jumped a small jump to the other end of the fire. This morning, I have a small burn on my foot, and I believe it’s a perfect reflection of how I work and interact with people. Life can be scary. Work can be scary. Sometimes I just have to keep moving, anyway. Sometimes when I’m in the middle of something scary, I forget how to deal with it, and freak out, and sometimes it causes me to get burned. I feel like I’ve been burned a time or two in my life, and it’s perfect for me because it’s exactly what I create for myself. and more likely a 9 or 10. What about those who were nervous and waited for several minutes on one side of the fire? A 4 or 5? And what about those who rand and were burned? A 3 or 4? I don’t know all the answers, but these are my guesses. If you asked me last night about my level of trust in myself, what do you think it would be? If you guessed a 6.5, you’d be right on. And – surprise! – I got burned. How often in work do I allow myself to be burned solely on the fact that I don’t trust myself? What would life at work be like for me and everyone I work with if I were able to trust in my ideas, and to know that the ideas everyone else has are perfect, as they are shaped by their beliefs and experiences they know to be reality. P.S. I briefly mentioned this at the beginning of my post, but this firewalk I’m writing about was a fundraiser for Linzy Boulter, who was recently diagnosed with breast cancer. If you’d like to donate to help her pay for medical bills, get in touch with me and I’ll point you in the right direction.